An exciting new feature is making its debut today. 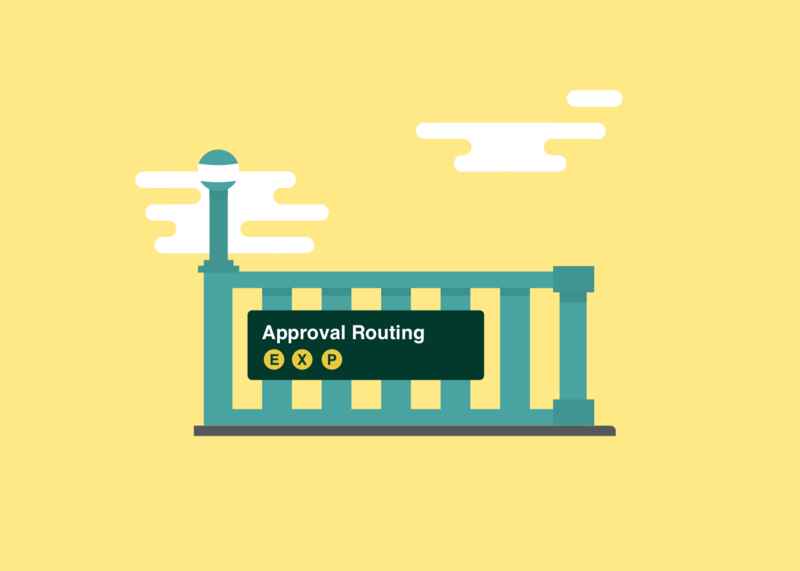 Approval routing lets you direct expenses to specific approvers, as the expenses flow in. Abacus is in a unique position to route expenses based on specific circumstances. Because expenses in Abacus aren’t trapped in expense reports, each one can be analyzed and routed directly where it needs to go. 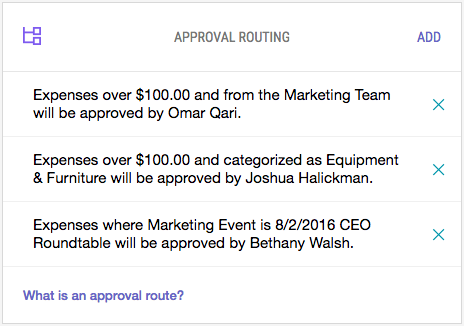 Approval routing sends expenses to Admins or Managers based on criteria you set, such as dollar amount, submitter, custom expense field, and more. You create your criteria in the same way and place that you build warning and blocking rules. Abacus executes approval rules in the order you arrange them, which ensures your most important rules are followed. With this routing in place, any Marketing team expense over $100 will go to our CEO, Omar, for approval. Expenses for the Roundtable event will go to me, Bethany. But since the Roundtable rule is listed beneath the $100 rule, a Marketing team member’s $115 Roundtable expense still goes to the CEO. Larger amounts get sent higher up the ladder. Every expense above $5,000 goes straight to the CFO. Project expenses go to the project manager. Sometimes expenses are related to specific projects or clients. Route those expenses to project leads instead of direct managers. Different approvers for different categories. One sales manager could approve all travel booking while another approves all client entertainment costs. Head to your Expense Policy within Abacus to start building your new approval flows. If you’d like to find out more, check out our support article or tweet us at @abacus. Happy routing!